The Ann E. Kelley Fellowship in Behavioral Neuroscience honors the legacy of Dr. Kelley and supports the training of future generations of behavioral neuroscientists that embody her passion for understanding the brain with the ultimate goal of using this knowledge to reduce human suffering. The UW Department of Psychiatry invites University of Wisconsin graduate students presenting a paper or poster relevant to behavioral neuroscience at the Society for Neuroscience’s (SfN) annual meeting in San Diego on November 03-07, 2018 to apply for the Ann E. Kelley Travel Award. The winner will receive an award of $600 to assist with travel expenses. Applications will be accepted from August 1, 2018 to September 10, 2018. This is a competitive award; the entries will be judged by a committee of UW Department of Psychiatry faculty members. The winner will be notified by Monday, September 17, 2018 and a reception will be held to acknowledge the winner and celebrate Dr. Kelley’s legacy on Monday, September 24, 2018 from 5:00pm – 6:30pm at WisPIC. 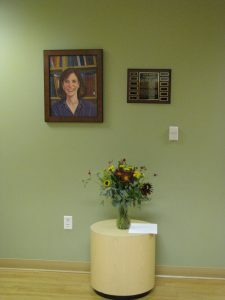 Memorials in Ann’s memory can be made to the Ann E. Kelley Fellowship In Behavioral Neuroscience to support training of future generations of Behavioral Neuroscientists. Donations can be sent to the University of Wisconsin Foundation, 1848 University Avenue, Madison, Wisconsin 53726. Or you may contact the UW Psychiatry Department donor relations specialist, Amber Sebastian, at sebastian@wisc.edu for information about supporting Dr. Kelley’s legacy. Dr. Ann E. Kelley led an eminent career in which she made groundbreaking contributions to neuropsychopharmacology. Her lifelong passion for neuroscience began at the University of Pennsylvania, where she helped to found the extremely successful Biological Basis of Behavior major and became its first graduate. 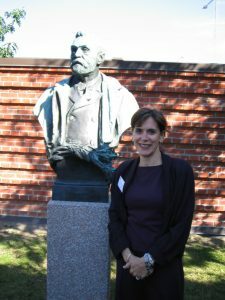 Professor Kelley subsequently won a Thouron fellowship for doctoral study in England, where she joined Dr Susan Iversen’s lab at the University of Cambridge. Dr Kelley’s dissertation project impacted the field profoundly as it provided the first convincing behavioral evidence of neuropeptide control over dopamine cell bodies. Her subsequent work as a Research Fellow at Harvard Medical School under the renowned neuroanatomist Walle Nauta identified amygdaloid and hippocampal projections to various sectors of the nucleus accumbens. Her papers on this topic are citation classics and regarded as among the most influential studies on striatal organization that have been published. She held faculty positions at the University of Bordeaux in France, Harvard University, Northeastern University, and the University of Wisconsin, where she was the Wisconsin Distinguished Neuroscience Professor and Professor of Psychiatry. 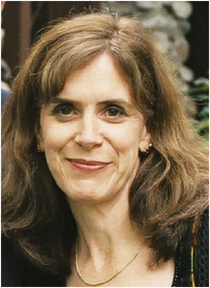 Professor Kelley was considered to be one of the best in the world at employing the intracerebral microinfusion technique and, using this approach, made seminal contributions to four major areas: (1) striatal control of oromotor function—she discovered the subregion of striatum that perhaps governs oral stereotypies seen in certain neurological syndromes such as Tardive Dyskinesia and Lesch–Nyhan disease; (2) functional segregation of nucleus accumbens subregions—she was among the first to demonstrate functional differences between the nucleus accumbens core and shell, which has had enormous impact on the study of neurobiological mechanisms underlying the effects of drugs of abuse; (3) striatal control of feeding behavior—she showed for the first time that striatal opioids play a crucial role in the rewarding properties of high-sugar/fat foods, and that the nucleus accumbens shell integrates forebrain motivational mechanisms with hypothalamic energy balance systems; (4) striatal plasticity mechanisms in instrumental learning—she demonstrated that glutamate plasticity in the nucleus accumbens core is obligatory for Skinnerian operant learning. Together, this research represents perhaps the most influential contribution to functional/behavioral striatal heterogeneity by any investigator in the world, and led to the general recognition of Dr. Kelley as an authority on this topic. 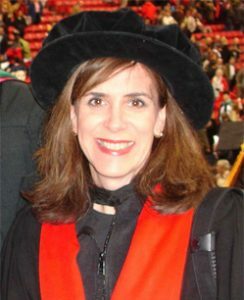 At UW-Madison, Dr. Kelley was Director of the Neuroscience Training Program and also served on the editorial boards of several prominent journals including Neuropsychopharmacology. She was an associate editor for the Journal of Neuroscience, coeditor of Neuroscience and Biobehavioral Reviews, and editor-in-chief of Behavioral Neuroscience. She served as a member of the Pharmacology I Study Section for the National Institute on Drug Abuse, and as a frequent ad hoc reviewer for NIDA, NIMH, and NSF. She published over 130 peer-reviewed scientific papers and her work was funded continuously for over two decades by the National Institutes of Health and the National Science Foundation. She was recognized with a MERIT award from the National Institute on Drug Abuse, an invited lecture at a Nobel Symposium in Stockholm, and with the Mika Salpeter Lifetime Achievement Award from the Society for Neuroscience. Importantly, Dr Kelley was a pioneer for women in science and launched the successful careers of a generation of neuroscientists through her mentoring and teaching. Her candor on professional as well as personal matters characterized her relationships with her trainees and, as a result, both women and men in her lab witnessed every day how it was possible to simultaneously be a preeminent scientist and a successful parent. 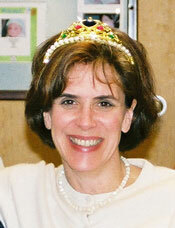 Dr. Kelley’s passion for neuroscience was matched by her passion for life. A natural athlete who won national awards for field hockey, rowing, and lacrosse while making her groundbreaking scientific discoveries, she could be found equally at home on the ski slopes or the speaker’s podium at the Winter Brain meetings. We miss her friendship and love, and will never forget her spirit. Her wonderful open nature, infectious laughter, keen mind, and indomitable spirit will be missed by her colleagues around the world.